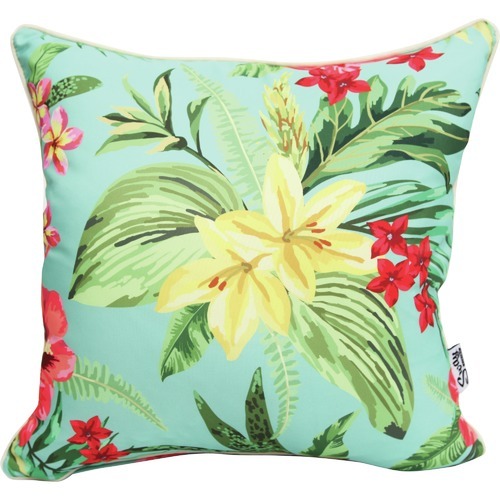 Inspired by mid-century kitsch and bright Hawaiian tropicals, our range of vintage-themed cushions will transform your space into a retro oasis. Sway Living outdoor cushions feature extra soft fabric, making them suitable for indoor/outdoor use. UV & water resistance provide extra protection against the elements when used outside. Create an island paradise in your own backyard with Sway Living! 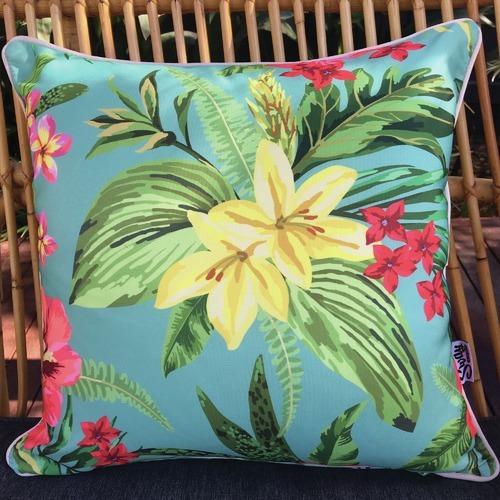 When you buy a Aqua Tahiti Outdoor Cushion online from Temple & Webster in Australia, we make it as easy as possible for you to find out when your product will be delivered to your home in Melbourne, Sydney or any major city. You can check on a delivery estimate for the SwayLiving Part #: SL0036A here. If you have any questions about your purchase or any other Outdoor Cushions product for sale our customer service representatives are available to help.Whether you just want to buy a Aqua Tahiti Outdoor Cushion or shop for your entire home, Temple & Webster has a zillion things home.